Do you want to get rid of hemorrhoids and the pain they cause? The hemorrhoids crisis has a very variable duration. Better to consult in case of haemorrhoidal crisis because the treatments are effective. 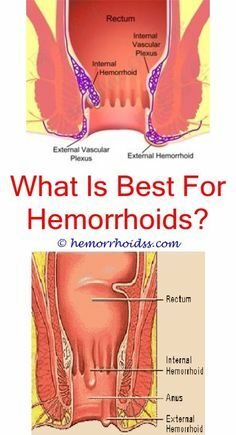 Without complications, the hemorrhoids can disappear in less than 5 days, but in many cases, the crisis of hemorrhoids can exceed 10 days and even cause a real embarrassment during several months. When the hemorrhoids crisis lasts more than 10 days and recurrence on a regular basis, it is a chronic hemorrhoidal crisis. To reduce the risk of complications in hemorrhoidal thrombosis, it is essential to talk to your doctor without delay. Hemorrhoidal thrombosis can be internal or external. To prevent hemorrhoids, it is essential to avoid constipation. Limit the consumption of alcohol, coffee, spices and fats. Favor dietary fiber, green vegetables, drink at least 1.5 to 2 liters of water daily and regularly engage in physical activity to improve circulation. Your doctor may give you other tips to help reduce the risk of hemorrhoidal thrombosis.